The Oakdale Iowa Geological Survey (OIGS) building is on the west edge of the University of Iowa Research Park. The building houses the Iowa Geological Survey’s (IGS) Rock Library, which is the repository for driller’s logs, well cores, well chips, and rock specimens from exposures throughout Iowa. 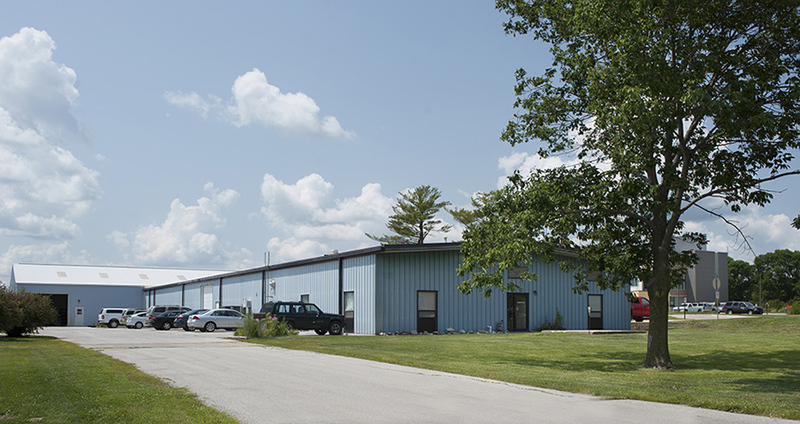 Additionally, the building is also used for publication and file storage, equipment maintenance and storage, and fabrication of equipment. OIGS also houses office space for personnel, a conference room, a water-quality lab, and a sediment lab. OIGS serves as the principal office site for several IGS staff, but staff members are not always onsite or available to assist visitors. Any person wanting to visit and utilize the OIGS facility must prearrange their visit with IGS to ensure a staff member will be available to assist. Sampling must adhere to established IGS sample policy. Facility operating hours are 8:00 a.m. to 4:30 p.m., Monday through Friday.